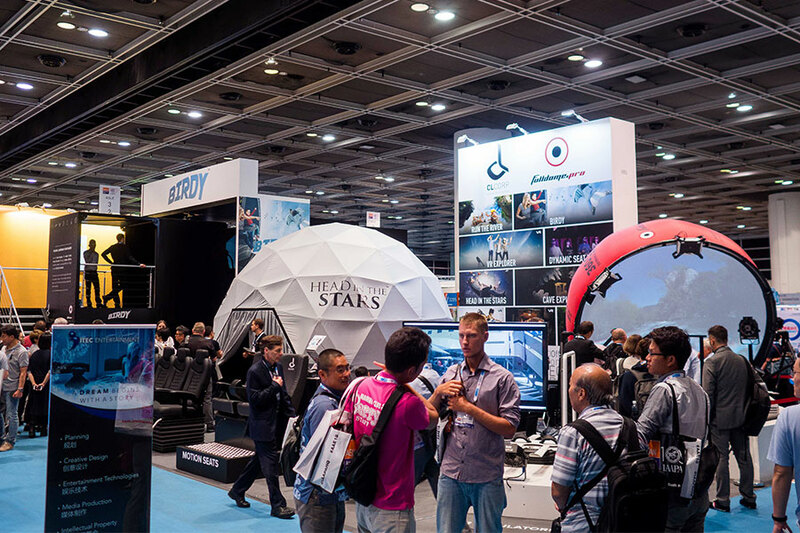 Fulldome.pro was proud to present our innovative products for theme parks at the IAAPA Asian Attractions Expo. 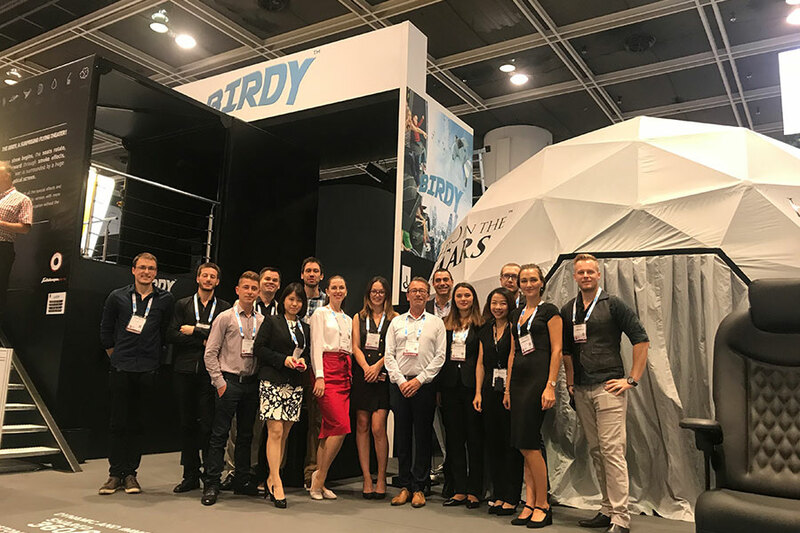 This year we excited attendees with BIRDY and HEAD IN THE STARS – new products made in collaboration with CL CORP.
Our partnership with CL CORP has reinterpreted the understanding of attractions and reimagined them with cutting-edge digital technologies. We exhibited products with various screen orientations: vertical, near vertical, and inclined. 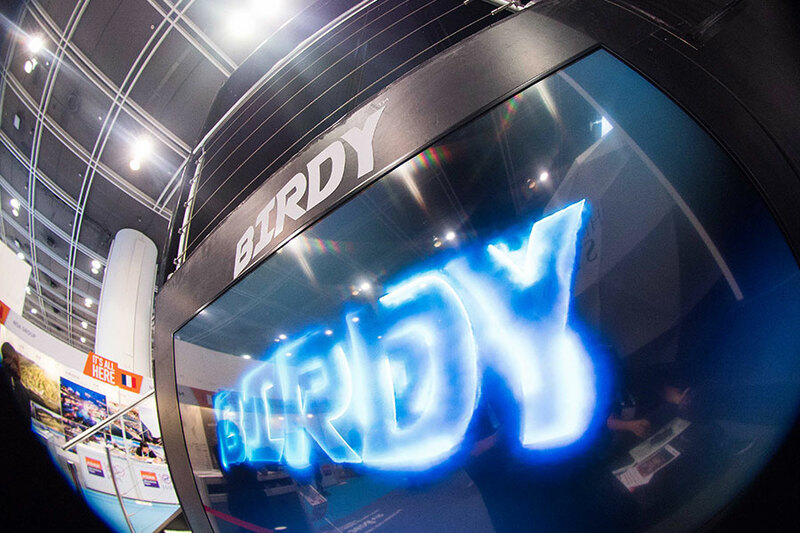 The first working prototype of BIRDY gave people a new experience: they were seated outside the ride, then the motion seats by CL CORP, turned and moved the viewer into the purpose-built vertical elliptical concave screen. 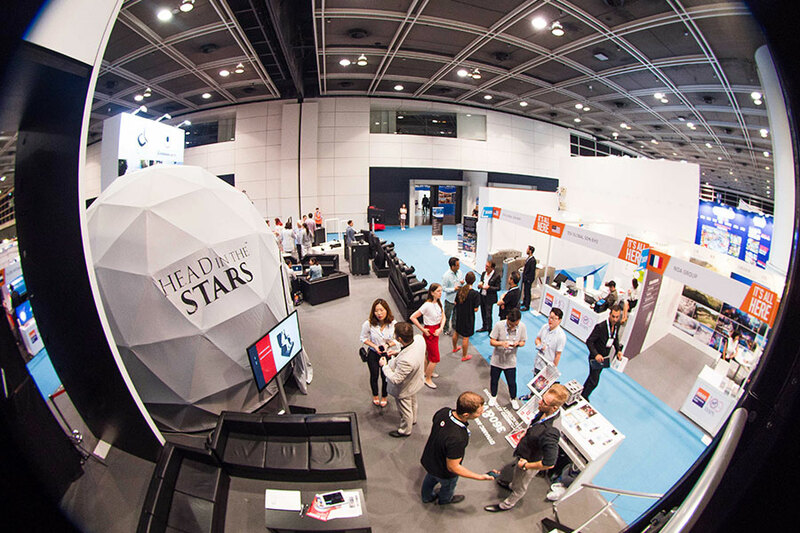 The other products presented at the expo – HEAD IN THE STARS and RUN THE RIVER – are different realizations based on the same underlying platform – a dome over a motion platform with special effects by CL CORP inside. 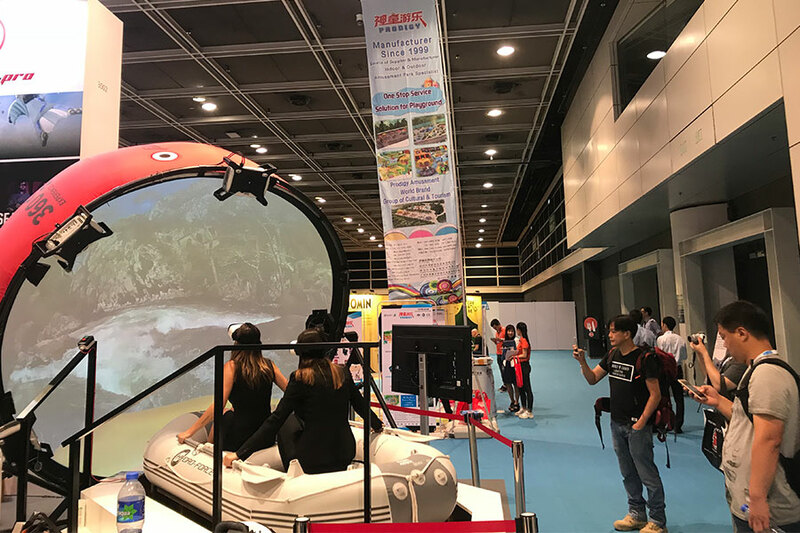 RUN THE RIVER is a virtual reality experience in which the riders sit in an inflatable raft on a motion platform. 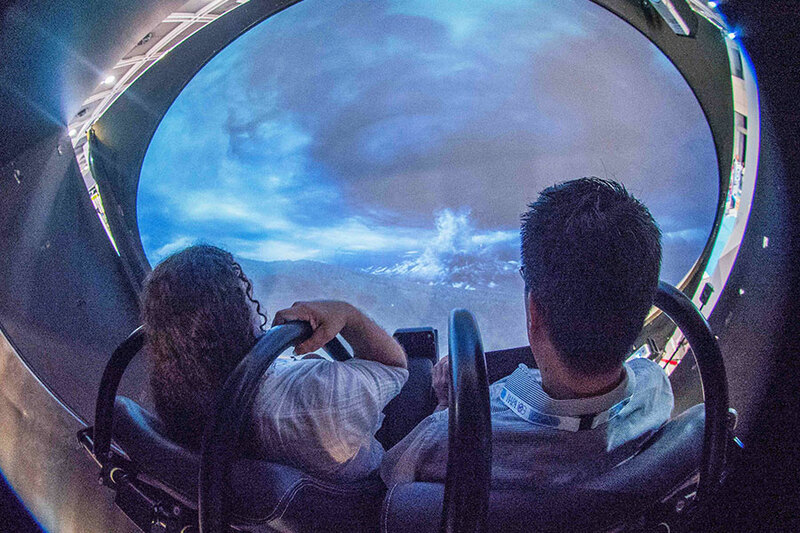 For small spaces, the riders wear VR headsets, but for larger implementations the raft can be placed under or inside a dome. 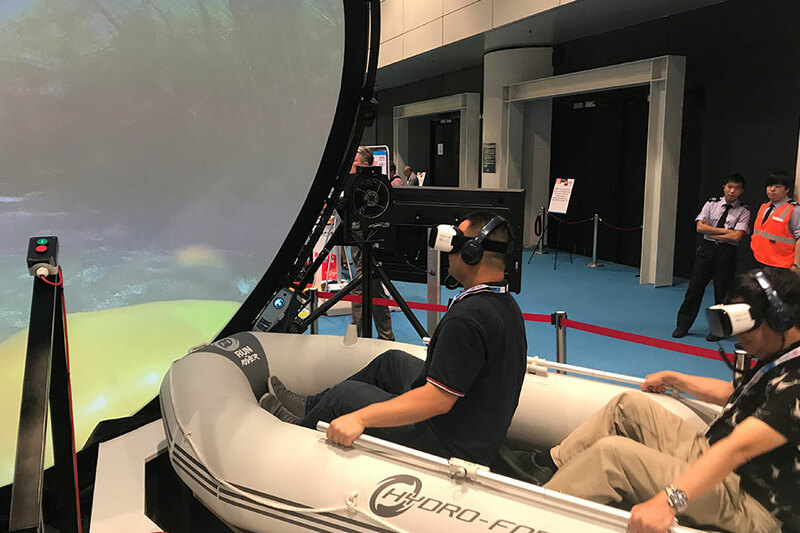 At the expo, we placed a small, near vertical dome in front of the raft to demonstrate how RUN THE RIVER can be used inside a dome, and to show visitors what the riders were seeing in their headsets. 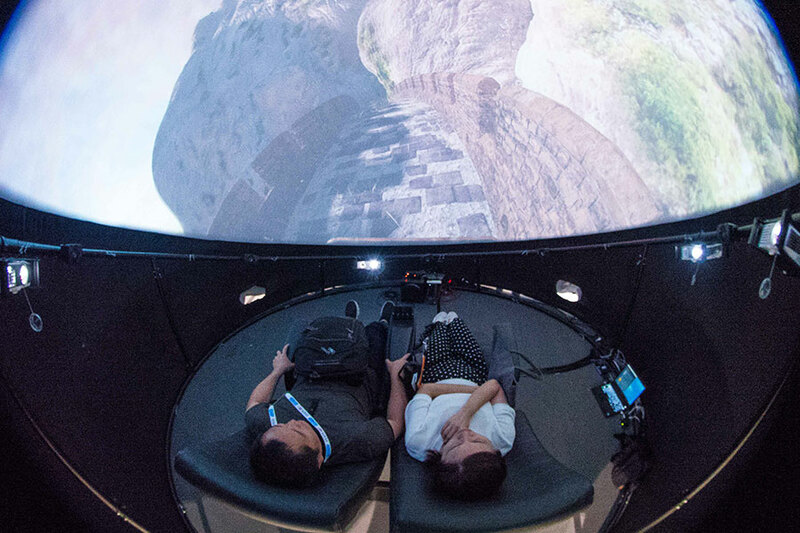 HEAD IN THE STARS used a more familiar inclined dome and motion seats with effects to create a 360° roller coaster ride along the Great Wall of China. 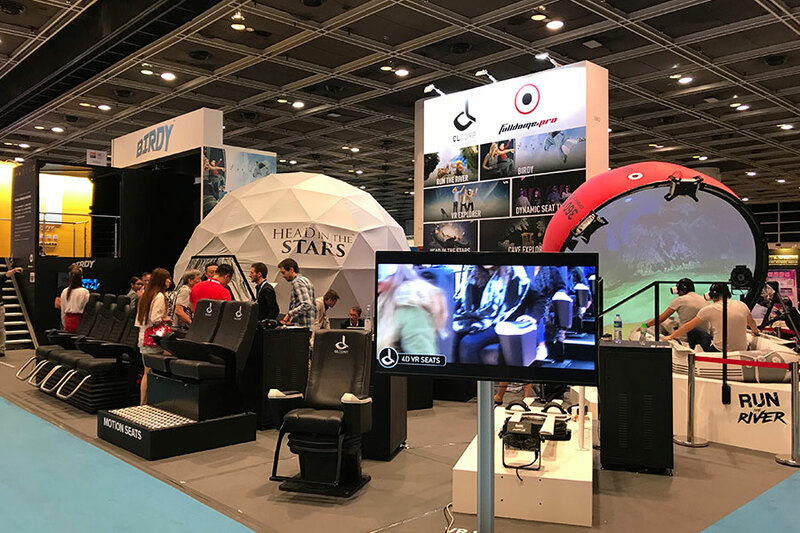 All of these attractions create a fully immersive experience by using motion seats and platforms with different styles of domes and projection. 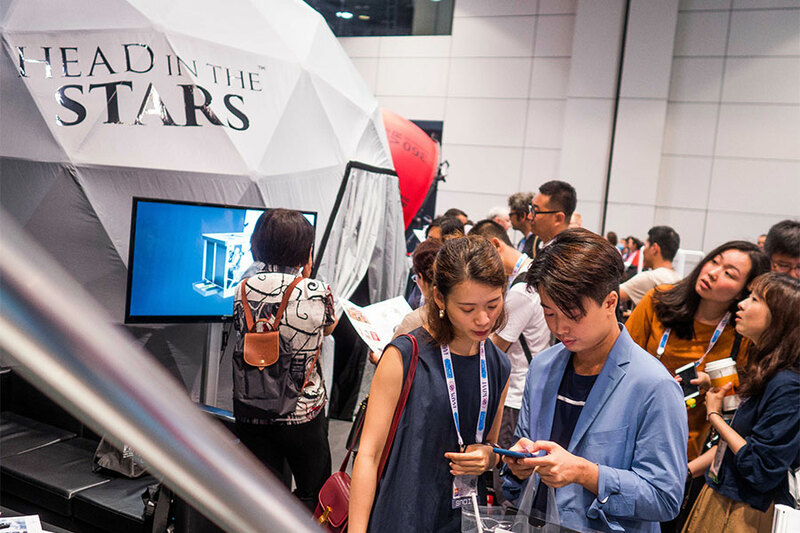 After three busy days of the expo, we had surprised hundreds of visitors, met with partners and clients, made new acquaintances, and shared unforgettable experience and emotions. 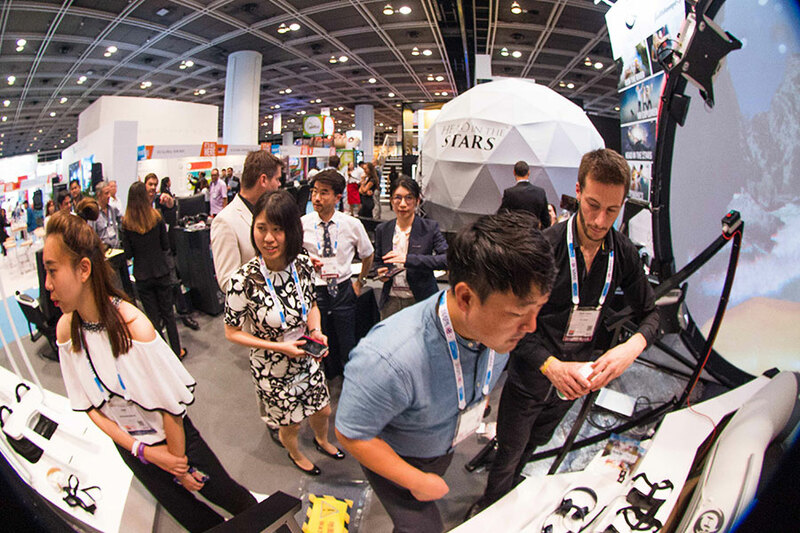 We are thankful to the organizers of IAAPA Asian Attractions Expo Hong Kong for such a great event.